Cut avocado into small cubes, mix with Greek yogurt, lemon juice and salt and pepper. Marinate prawn with olive oil, salt and pepper. Press avocado into the round ring and then prawns. 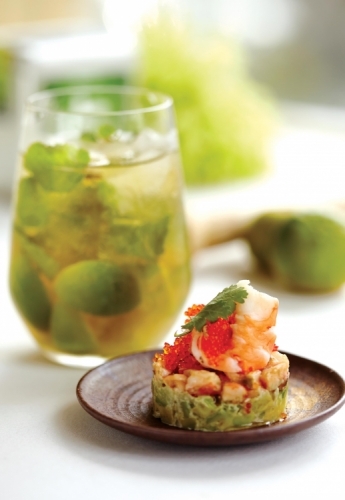 Decorate with shrimp roe and coriander.